Affirmation Music is a groundbreaking way to restore yourself to perfect awareness, manifest your desires and create better realities! Allow positive affirmations and melody to subliminally affect your subconscious mind to reprogram negative internal dialogue. You'll find yourself unconsciously signing catchy affirmations throughout your day for powerful emotional imprinting. The Russian biophysicist and molecular biologist Pjotr Garjajev explored the vibrational behavior of living DNA substance and saw that it reacts to language when proper frequencies are used. This finally and scientifically explains why affirmations can have such strong effects on humans and their bodies. The eagerly awaited new record from LaDéroute is here! These seasoned artists, at the peak of their poetic inspiration and understanding, have created a new genre of music called Affirmation Music. 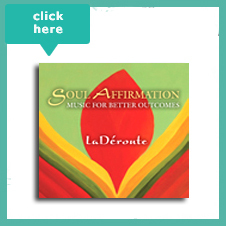 Soul Affirmation is Ken's vision of crafting a record as a tool for better outcomes, and as an aid in reprogramming the mind with powerful musical positive affirmations. Singing to our hearts and minds, Ken's songs are enlivening, inspirational, and designed to help empower our lives for the better Enhanced by Amy's divine vocals, and brought to life with a gorgeous blend of eclectic percussion, guitars, dotars, violins, pianos and cellos. The act of thinking and the effects upon the human organism in connection with health and illness is expressed as the mind-body connection. Using emotionally-charged music and language helps you forgive, change your mindsets and find inner peace. I feel like it reaches into my soul and gives me a hug. Dance, relax and allow positive Affirmation Music to affect your subconscious mind. 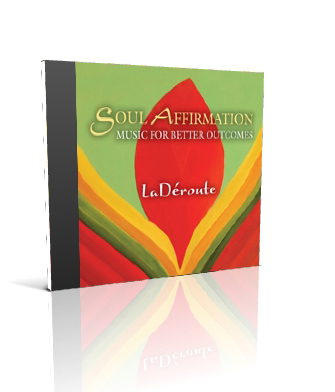 Soul Affirmation – Music for Better Outcomes is a CD produced by Ken LaDéroute and Grammy-nominated artist and producer Kit Walker, (Deva Primal) and mixed by Ben Leinbach (Jai Utal), Soul Affirmation is a record designed to create better outcomes by reprogramming the mind with musical positive affirmations. 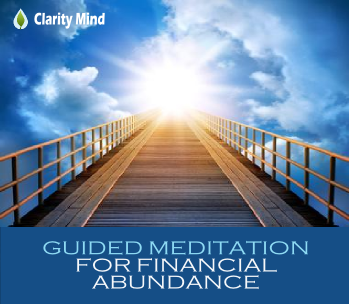 A soundtrack to transform and direct your future using music and positive affirmations. Amy LaDeroute’s gorgeous vocals inspire and awaken the devotional soul within. Dance or groove to a blend of East and West rhythm and meditative vibe. The production is spirited, richly-textured, devotional and inspirational. Amy LaDeroute’s beautiful voice calls us to re-awaken and become conscious of the inner Being present within us all. "Thanks for the beautiful way I start my day now! Your music is wonderful--beautiful arrangements, gorgeous voice, and most of all it's soothing and uplifting and healing and very deep knowledge." Soul Affirmation not only uses positive affirmations but also includes the power of mantra. A mantra is a mystical syllable or poem, typically from the Sanskrit language. They are primarily used as spiritual conduits, words or vibrations that instill one-pointed concentration. Mantras are interpreted to be effective as vibration, or more simply as sound, which may include verbal repetition, in the form of chanting, or internal mental incantation. "Throughout the day, various songs from the CD loop through my head and heart, and uplift me. Today it's the song "It Comes from Me". It touches me so deeply tears come to my eyes. Ken and Amy, your music is a gift to us all and helps us to awaken to our True Selves."